Property listed by Cavalier Real Estate. Just 7 miles to downtown Austin. 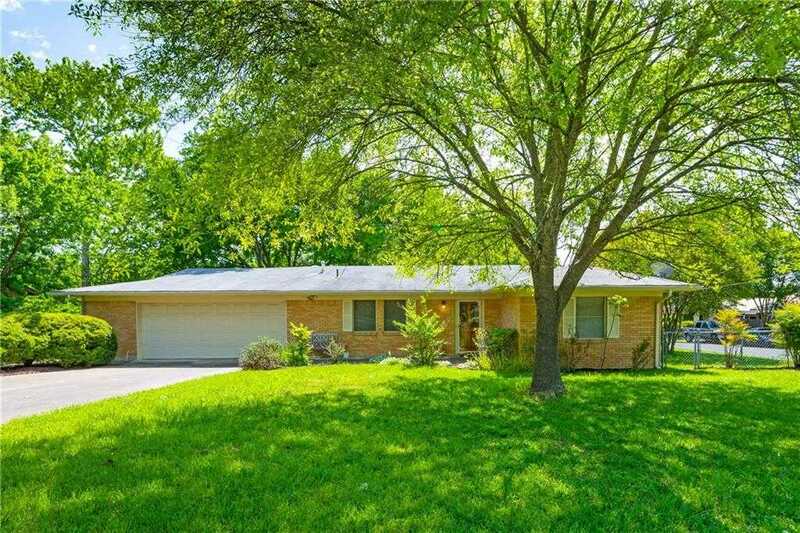 Ranch style on an amazing 1/3 acre in Northeast Austin! Towering trees in this 60 style home with loads of living space in 1665 sf. OVER-sized garage with workshop. 2/2/2, fireplace (gas logs in family) with 2 living and 2 dining. Eat in kitchen with chair height bar. Original 60’s tile, cabinets. Storage closets galore. Possibilities abound. Priced to sell. Don’t wait!